One of the top dogs in the French Revolution, Maximilien de Robespierre was head of the radical Jacobins. His was the Reign of Terror, which ruled September 5, 1793 until July 27, 1794. The whole thing backfired and Robespierre himself was executed. 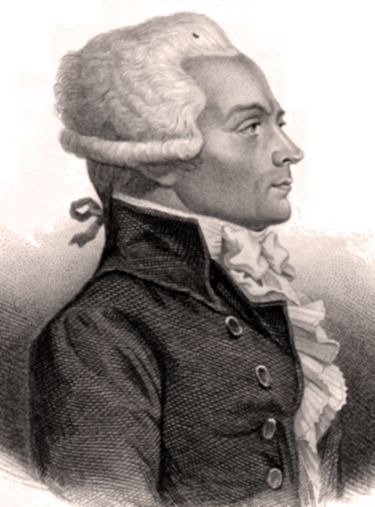 On February 5, 1794, Maximilien de Robespierre delivered his speech The Virtue of Terror before the National Convention, which means that his audience was a crowd of around 750 men. This address is also called the Report on the Principles of Political Morality, or in more private circles How I Solved My Childhood Issues. Robespierre spoke as the representative of the Committee of Public Safety, or Comité De Salut Public, a group of 9 to 12 men with the assigned task of eliminating foreign and domestic threats to national security. This Committee had been set up on April 6, 1793, and its members were elected by the National Convention. However, the initial members were deemed to soft for the job and, in July 1793, were replaced by men who weren't afraid of alley cats. Robespierre was one of these replacements. Now, in early 1794, the National Convention felt that their Committee of Public Safety ran a dictatorship. To this effect, Robespierre gave the above mentioned oration in which he shared his thoughts on the practice of terror. On June 8, 1794, Robespierre delivered two speeches on occasion of the Festival of the Supreme Being, the Fête de l'Etre Suprême. This festival took place in Paris. 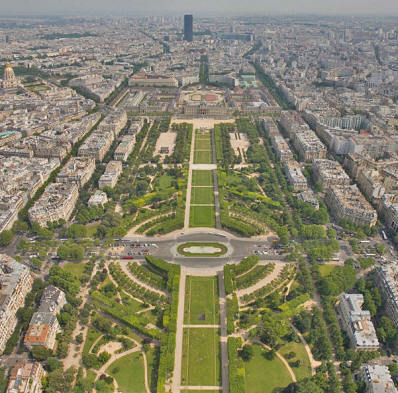 It started in the Tuileries Gardens with a ceremony and two speeches from Robespierre, after which the entire posse shuffled to the Field of Mars, Champ de Mars, which is the West Potomac Park of Paris, if you will. And here is a photo of the Champ de Mars today. The picture was taken from the Eiffel Tower.